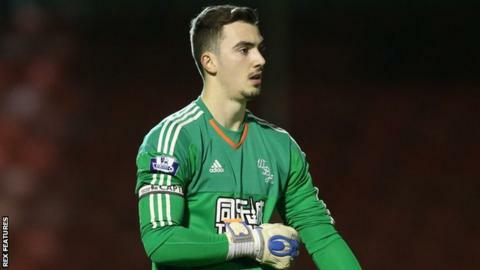 Crawley Town have signed West Bromwich Albion goalkeeper Jack Rose on loan until the end of the season. The 21-year-old is yet to make his debut for the Baggies but has spent time on loan at Accrington. Crawley's move for Rose came after fellow League Two club Portsmouth recalled keeper Paul Jones from his spell at the Checkatrade.com Stadium. Jones, 29, made eight appearances and kept four clean sheets for the Sussex club after joining them in February. His return to Fratton Park coincides with on-loan Liverpool goalkeeper Ryan Fulton being called-up to the Scotland Under-21 squad and an injury to Brian Murphy. Jones has made five appearances for Portsmouth this season and played 57 times in his Fratton Park career.